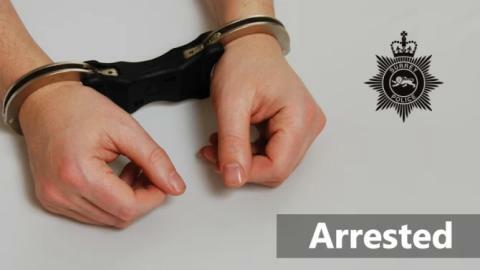 Three men have been arrested after they threatened a man with a knife in Woking yesterday (20 February). At around 4.15pm the victim reported that while he was in his car on Balfour Avenue three men approached him, one armed with a large knife, causing a minor scratch to the back of his leg as they attempted to stab him through the car window. The car was also damaged during the incident. Armed police were promptly deployed and following a search of the surrounding area the car involved was located on Nursery Road, Knaphill without any occupants inside. The men, aged between 20 and 22, were arrested under suspicion of affray, possession of an offensive weapon and causing criminal damage once they returned to the car. They have since been released under investigation. Investigating officer PC Jasmine Smith said: “This was a serious incident and some excellent team-work ensured we were able to arrest the suspects quickly. “I’m thankful for the support from our firearms officers as, when it comes to suspects reportedly in possession of a knife, we will take no chances. “It is believed the suspects and the victim are known to one another so we don’t believe there is any wider threat to the public. If you can help, please call us on 101 (999 in emergency), or tell us online via or http://surrey.police.uk/TellUsMore quoting reference PR/45190018780.